I am finally, happily, getting some routine back in my life. Yay!!!! From mid-November through mid-January I had two trips to Ohio and two trips to LA plus the fun but un-structure of the holidays. That, combined with an "off-season" mentality, did not offer a lot of positives for my training. But I wasn't stressing. It was just life at the moment. I knew structure and routine would return and it has. Again with the Yay!!!! "Routine with a side of adventure" is very much how I prefer things so I'm glad that my days and weeks are falling into a rhythm. Days start with some early morning work, getting kids off to school, then training/errands, then my work day -- coordinating the majority of my hours to coincide with my colleagues on the west coast. Weekly workouts are anchored by Thursday and Sunday night Master's Swim and Coach Jim populates the rest of the training schedule with bike, run, gym, other swims as needed, and REST! Getting structure back into my training has had other positive impacts. I've been eating much better after a holiday of chocolate, cheese, wine, and more cheese, plus also cheese. Racing (in the sense of participating in a race haha) starts for me next weekend. I'm doing the 6th annual wazUPwidis Urban Run and Stair Challenge - 3.25 miles plus 1000 steps. That should be interesting. I've always been curious about it but have never done it. My specific "prep" has involved 10 minute stints on the stairclimber or Jacob's ladder each time I go to the gym. The weekend following that I'm doing the Blacksburg Classic 10 miler. I said to Coach Jim that I wanted to approach it as a training run without any taper. I'm not anywhere near "race ready" in the fierce, mental sense, so I want to work hard but not go too deep into the well for that one. Then two weeks later, weather permitting, I'd like to head to the Northeast Duathlon, which is kind of a lot of driving for a super-sprint style race, but I put it in the category of the "side of adventure." I have no races planned for March, so I hope to get in a good training block to be fit and ready for Duathlon Nationals in early April in Greenville, SC! I finally ordered new running shoes since it's been about 10 months since the last new pair (loooooong overdue). I'm going with Brooks Pureflow and can't wait to get them!! I've done a few runs on Zwift (in addition to rides) and it's pretty cool!! 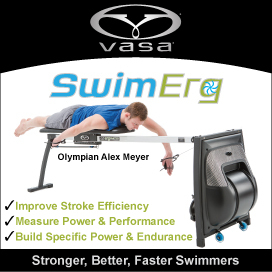 I'm hoping they will add swimming in soon so I can use my power-based Vasa Swim Ergometer and do an entire triathlon on Wattopia! I am hooked on the heavy rescue tow truck show called "Highway Thru Hell" on Netflix (5 seasons!) and when I need enticement for the treadmill or bike trainer I remember I can watch that! Isn't it strange what captures our interest? Wishing each of you as much...or as little...routine and adventure as you desire! !